Update on the ISSA Team Racing Nationals 2015. Two round robins were sailed, consisting of 44 races, with all teams racing each other twice. 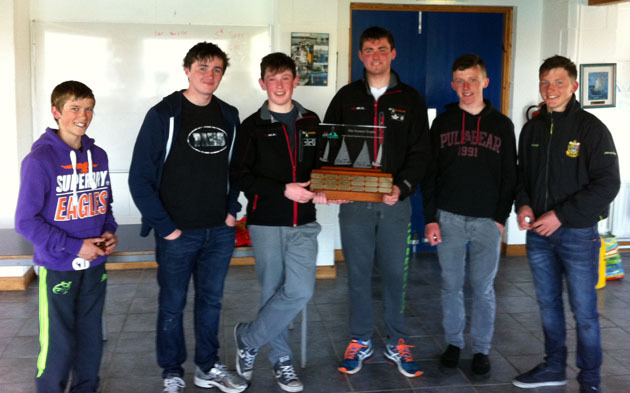 The top two teams at the end, on equal points, were Presentation Brothers College, Cork, and Schull Sharks and It was decided to run a final best of three to sort out the National Championship. At the end of these three races PBC 1 with a score of two wins took the Championship. It is hoped that Presentation College, the new Irish Schools Team Racing Champions, will represent Irish Schools at the British Schools Finals in July.